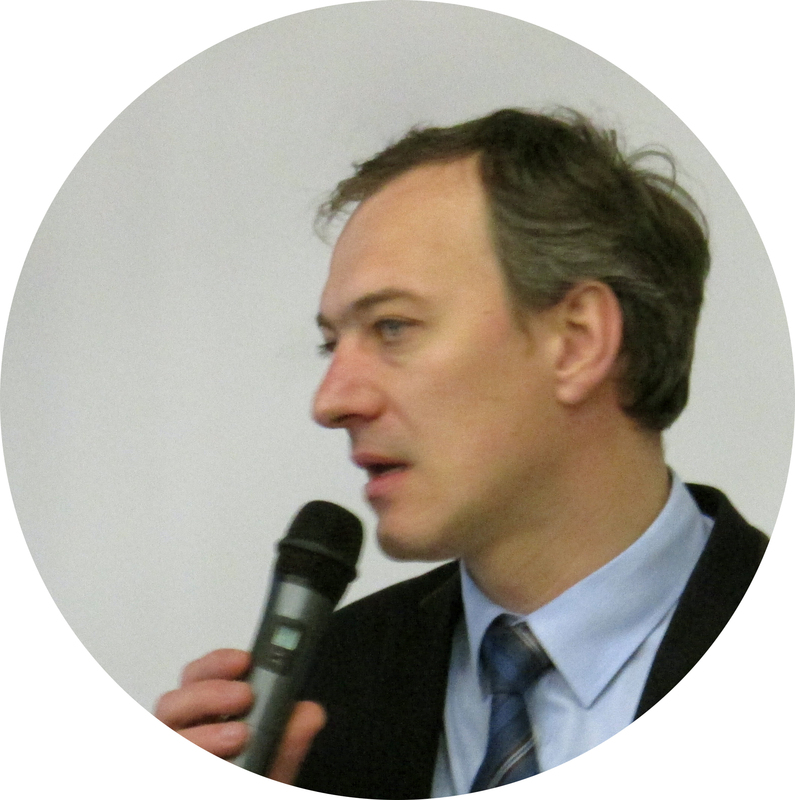 What are the Funding Opportunities for Innovation in Transport Sector in Belarus? Experts from Ukraine, Belarus, Germany, Russia and Hungary discussed issues of sustainable mobility and urban development in the course of the seminar "New Tools for Integrated Urban and Transport Planning" held in Minsk. Read the article below to learn about international programmes in which Belarus can take part to introduce innovation in the transport sector and about funding opportunities available to Belarusian cities. Jerome Simpson, Senior Expert at Smart Cities and Mobility programme (Hungary), presented transport policies adopted within the European community, voicing existing ambitious plans: by the end of 2016 all EU cities will develop programmes to switch to new types of fuel, and the government of the Netherlands intends to phase out petrol and diesel engine cars, banning their sales from 2025 onwards. Presenting such ambitious goals and objectives to the Minsk seminar participants, Simpson noted that the general tendencies in Europe's transport development have to do with reducing CO₂ emissions, encouraging sharing of personal vehicles (the "sharing economy"), developing the use of bicycles for delivery in city centers, logistics automation, etc. 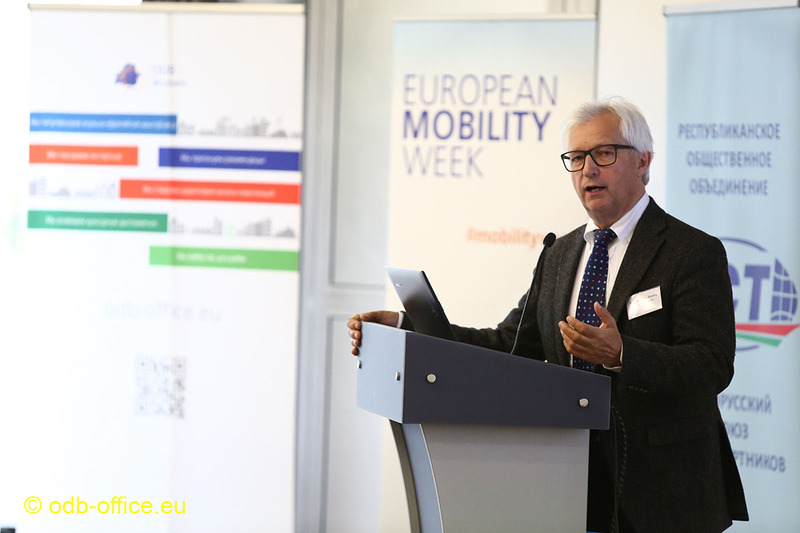 According to the expert, one of the ways to develop alternatives modes of transportation for many cities is the European Mobility Week. About 2,000 cities from 45 countries currently are part of this pan-European campaign, including those outside EU. Within the framework of this initiative, city authorities can hold annual Car Free Days (September 22), as well as organize ongoing activities and take small steps towards sustainable development all throughout the year. 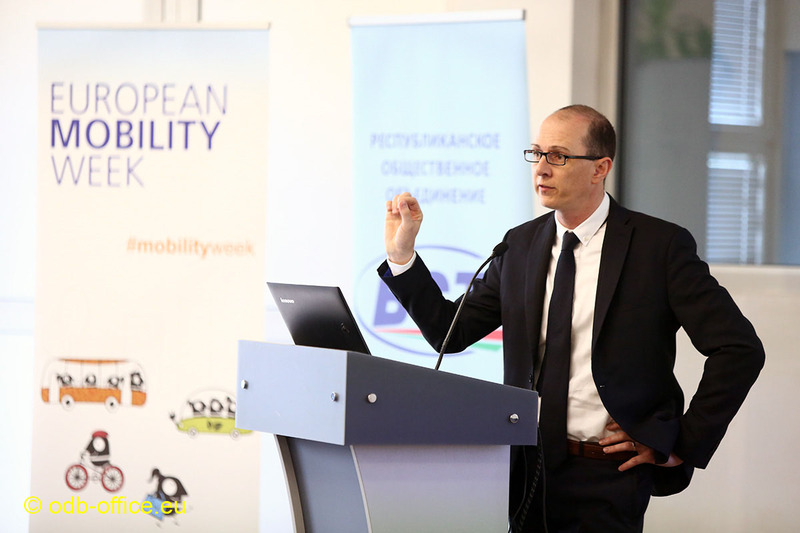 "The theme of European Mobility Week 2016 is Smart mobility. Strong Economy. The main goal of the Week this year is to emphasize the economic advantages, the economic benefits that sustainable mobility provides", says Jerome Simpson. According to him, "individuals need to know what financial benefits they can get, what will happen if they switch to cycling or using public transportation". The expert gave the examples of Brighton and Hove (United Kingdom), where smart transport planning brought a 13% reduction in vehicle use for delivering children to schools, while in the Belgian city of Ghent the number of cyclists increased by 35% after special bicycle parking areas were constructed. He also noted that street trading in New York is 49% more active in areas where people cycle. According to him, cyclists on average live 2 years longer and take sick leaves 15% less often, which is good for the employers. According to the expert, any Belarusian city can join the CIVITAS initiative (City - Vitality - Sustainability) and apply for funding within test projects on planning and introducing sustainable urban mobility. The initiative is open to cities from non-EU countries. Specialists can exchange experience and information using Eltis online platform, or use the Polis network initiative (to find funding opportunities and expert support in the field of mobility). On April 22, Belarus together with 170 other countries signed the UN Paris Climate Agreement. There is a certain trend towards "green" transportation, with a view of minimizing CO₂ emissions, noted one of the Minsk seminar participants Andrey Pilipchuk, representative of the Ministry of Natural Resources and Environmental Protection of Belarus: "We have a 2020 strategy to reduce the environmental impact of transport, which includes an action plan with fairly good measures in the field of transport. The issue is that at the moment we are not able to reach out to the cities and persuade them that these actions can bring certain benefits". In his opinion, every individual should be able to see the economic benefits of cutting down emission, of health and alternative transport development; benefits for the city budget, for families and for individuals. In particular, Pilipchuk suggests that city authorities should be provided with dynamic environmental maps so that they could calculate economic effects of making certain decisions in the field of city mobility development. "What way of travelling will be the most convenient for the individual and how much will it cost? Will it be safe and how much safety costs? If a person will walk and cycle, what will it bring to the city and to the individual? ", explains Andrey Pilipchuk. "Even the best expert proposals will not yield necessary results unless they are backed with sufficient funding", claimed Hans-Werner Franz, Adviser to CEO of Berlin-Brandenburg Transport Association (Germany) and President of the European Metropolitan Transport Authorities when addressing participants of the seminar. 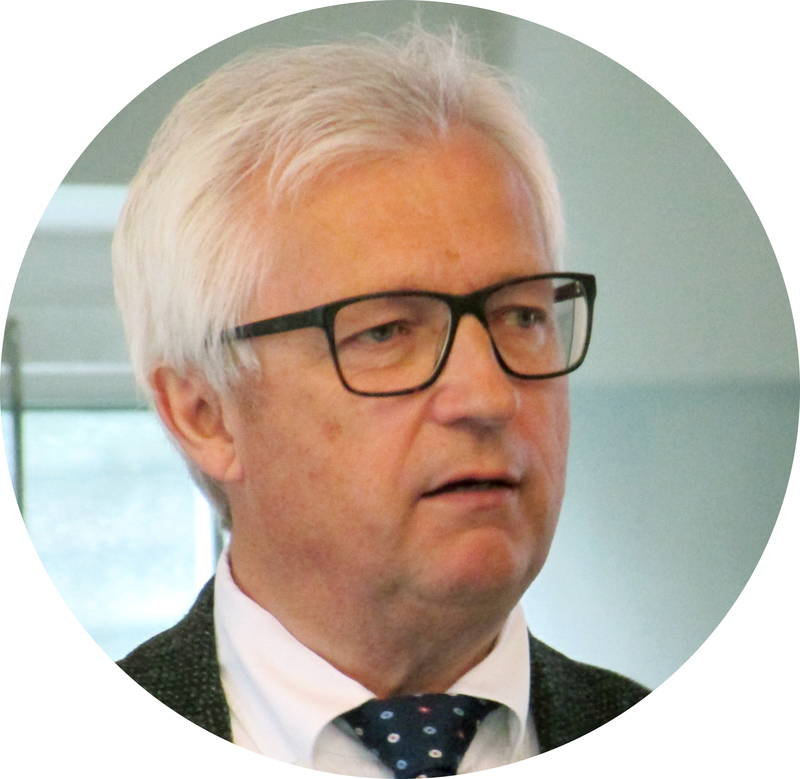 Transport is one of the key factors of economic development, emphasized Hans-Werner Franz, Adviser to CEO of Berlin-Brandenburg Transport Association (Germany), in his report. He noted that Germany thanks to its economic growth has the opportunity to invest an unprecedentedly large amount of funds into its national transportation system. At the federal level, more than 600 million euro of budgetary funds will be allocated for the development of transport infrastructure and communications by 2030, with 55% going into road infrastructure, 45% - into railways, and about 5% - into waterways development. The German expert said that the amount of air traffic in Germany is expected to grow by 64.8% from 2010 to 2030. Hans-Werner Franz also noted that the increase in goods production and exchange in the economic system leads to increased volumes of transport traffic. Economic growth brings the risk of more congestion: "Traffic jams lead to economic losses and negative economic impact, which is why it's important to ensure smooth traffic flow when planning a transport system", pointed out the German expert. 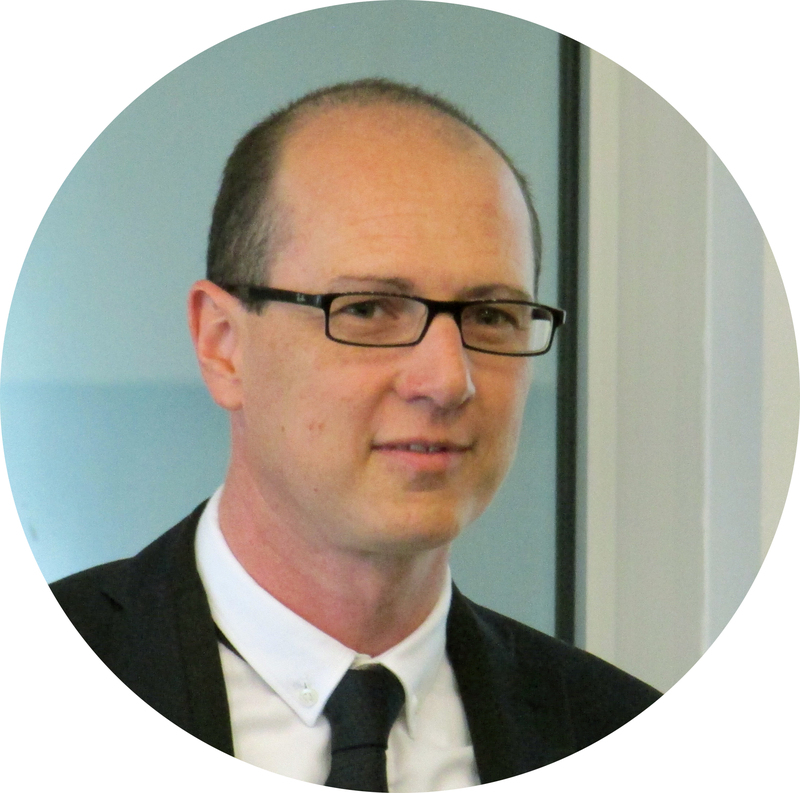 Transport is a prerequisite for the country's economic development, which is why its transportation system deserves a lot of attention, including financial contributions, says Hans-Werner Franz, Head of the European Metropolitan Transport Authorities. From an environmental point of view, he said, the priority in Germany will be given to railway transport, water transport, and only then to road transport. The seminar "New Tools for Integrated Urban and Transport Planning" brought together representatives of Belarusian city and regional authorities, the Ministry of Transport and Communications of Belarus, as well as road patrol services and institutions working in urban planning and architecture. The event was organized by the Belarusian Union of Transport Workers, Ukraine regional representative office of the German Friedrich Ebert Foundation, Eurasian office of the International Road Transport Union (IRU) and the Support Programme of Belarus of the Federal Government of Germany, with information support of ODB Brussels.